Our organization is widely appreciated in the market for our ability to provide high quality Steel Pipes to the valued customers. Procured from the reliable vendors, these pipes are manufactured using high-grade stainless steel. Moreover, we check the entire range of pipes on certain well-defined parameters to gauge its flawless nature, prior to its dispatch. Our product range comprises Pipes and Tubes, Metal Fittings and Alloy Steel Tubes. The product we are offering is Seamless Stainless Steel Pipe to our patrons. 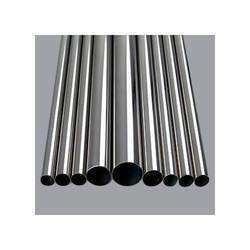 These high-quality stainless steel products are widely used in many applications. Prior to delivery, our products are quality tested by the experts to ensure high quality of the final products. 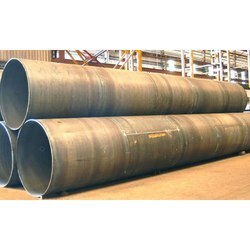 Our customers can avail from us quality approved Stainless Steel Saw Pipes, as we are a leading wholesaler and exporter dealing in this domain. This offered product is customized as per set international as well as national standard utilizing supreme grade material. Furthermore, the offered product range is available to our esteemed client at client friendly rates. 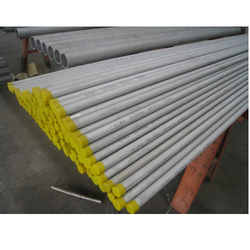 With the aid of our procuring agents, we have been able to bring Stainless Steel Round Pipes. These quality-approved products are manufactured using high-quality raw material at the well-segregated production unit of our vendor. We have hired a deft team of professionals to provide staff and worker with proper guidance and supervision to obtain finest quality product delivery.